Travelling to or from the UAE? My Baggage offers super fast, convenient and affordable luggage shipping services, allowing you to travel luggage free. 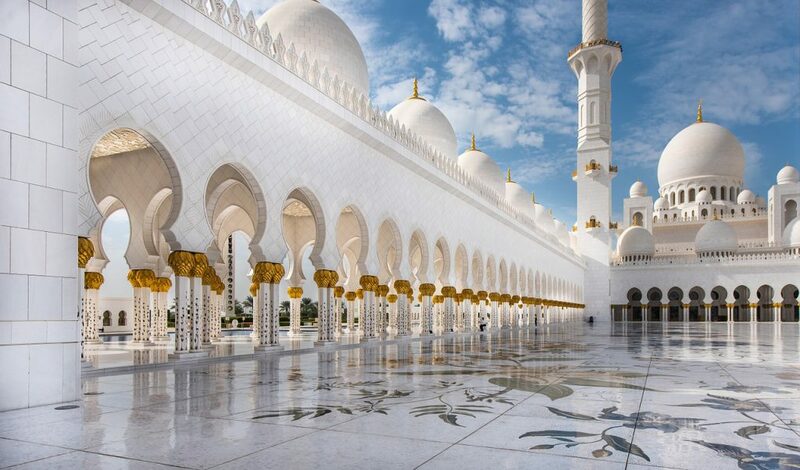 The United Arab Emirates is an Arabian Peninsula nation in Western Asia settled mainly along the Persian (Arabian) Gulf, bordering Oman to the east and Saudi Arabia to the south. The country is a federation of 7 emirates, with Abu Dhabi being the island capital. 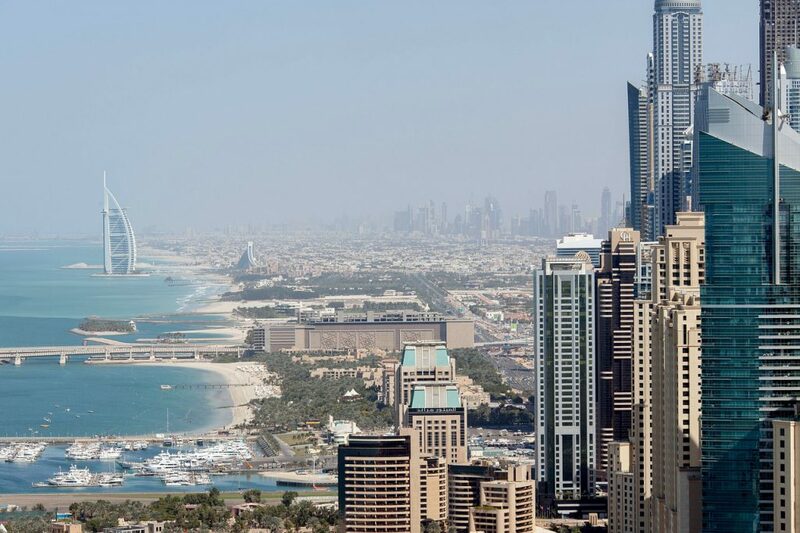 One of the major draws to the UAE are the cosmopolitan coastal ports, such as Dubai, known around the world for its enormous shopping centres and entertainment attractions. Why Ship To UAE – United Arab Emirates? To send a care-package to a loved one in the UAE. In the past, transporting unaccompanied baggage overseas has proven to be an expensive nightmare. With My Baggage, thankfully, it’s an easy, convenient process. Whether you’re travelling to the UAE to study abroad, to relocate with family or for work, to enjoy a holiday or otherwise; My Baggage’s generous weight allowance and the fact you can send as many items as you like, to Dubai or any other city in UAE. Our convenient luggage shipping service allows you to bring many more possessions with you than if you were simply relying on a few checked pieces of luggage when flying. For this reason, My Baggage offers a welcomed, affordable alternative to airline baggage. Booking with My Baggage is easy. Our online booking system is available 24/7 and takes just a few short moments to complete. Firstly, simply obtain an instant quote straight from our homepage. We give you the flexibility to choose your preferred collection date during the booking process. Then, once you’ve booked, we’ll send you some shipping labels to print and attach to your items. After that, sit back and relax as we take care of the rest. At My Baggage, we strive to keep our luggage shipping prices as low as possible. In fact, you could save up to 80% when you book with My Baggage instead of booking with the courier directly. We offer services to the UAE from as little as $157 per box or suitcase. My Baggage provides a convenient door to door luggage collection and delivery service. It means you can arrange everything from the comfort of your own home, and there’s no need for you to drop your items off at a drop-off point, nor will you need to collect them. Thanks to many years of experience in the field of logistics, our support team are experts when it comes to shipping luggage all over the world. If you happen to have any questions or concerns about your booking, our dedicated support team will be on hand to help. Contact us via phone, email and live chat and we will be more than happy to help. If you are going to a location in UAE where bikes are popular method of transport, what’s the point in buying a new one of renting one? Just bring your own! You could use it for cycling to work, to explore or to simply enjoy a cycle at your leisure. Before you ship your bike with My Baggage, make sure it’s dismantled and packed securely in a strong, double walled cardboard box. If you’re worried about dismantling your bike by yourself, you can take it to a local bike shop and they’re likely to do this for you for a low price. If you’re in United Arab Emirates (UAE) and you need a family member or friend back home to send you something, they can do so using My Baggage. Likewise, if you have a loved one in UAE, you can send them a care package to help ease the pain of being far from home. When sending a parcel with My Baggage, make sure that the box you are using is strong and that the goods inside are wrapped properly to minimise the risk of broken or damaged goods. If you have oversized baggage when you arrive at the airport for a flight, you will be charged expensive excess baggage fees. Save yourself the hassle, if you know your bags will probably be a little oversized and booking on another bag would cost you too much then ship your stuff with My Baggage. Our service is low cost and we deliver your luggage straight to your destination! When shipping goods to the UAE, you are legally required to complete and send a customs declaration with your shipment. Whether you’re sending personal effects or a gift to a loved one; if your shipment does not have a customs invoice attached, it will not make it past your local country border, and you may have to pay return charges to get it back. My Baggage will automatically provide you with the appropriate customs documents for you to complete and attach to your shipment when you send your luggage to the UAE. Generally, My Baggage shipments clear customs in a timely manner, free from duties and taxes, as most countries offer a generous duty-free allowance for personal effects. However, as customs processes and allowances are different around the world, and because My Baggage has no control over any decisions made, we do advise doing your own research into UAE customs regulations and quarantine before booking your shipment. Please make yourself aware of potential customs duties in Switzerland. Shipments of personal effects being sent to the UAE for non-residents who do not hold a UAE passport, residence or employment visa should not exceed a declared value of £175/$250. Shipments exceeding this value will require a copy of the named receiver’s passport, and their residence or employment visa if they are a non-UAE passport holder. When placing your booking with us, please do keep in mind that there are specific items which can be carried on our services, however, they may not be covered under our compensation cover and should be sent at your own risk. If you choose to send any non-compensation items, please ensure they are packaged securely and appropriately. Please note that import allowances, security and customs processes differ all around the world; we recommend that you do your own personal research into what may be prohibited in your destination country before booking your shipment to the UAE. When sending your belongings to the UAE with My Baggage, we recommend using either suitcases or strong boxes to package your items so as they are suitable for transit.